and the other six hunger-strikers. funeral befitting the supreme sacrifice he made for the cause of Tibet. 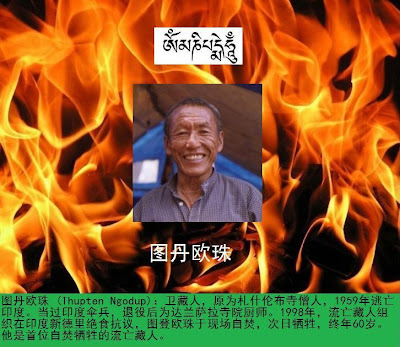 Thubten Ngodup was born in 1938 in Gyatso in the Shigatse region of Tibet. in 1986. But he saw action in the Bangladesh war of independence of 1971. Tsecholing Monastery. He sometimes worked as the cook for the monastery. Ngodup then insisted in donating Rs.500 to the youth body. monastery was be donated to the monastery. 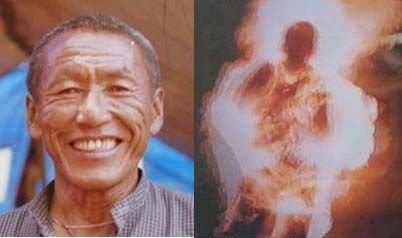 This is the last statement of Thubten Ngodup to the people of Tibet. Dalai Lama and it is very important for all Tibetans to think this way."